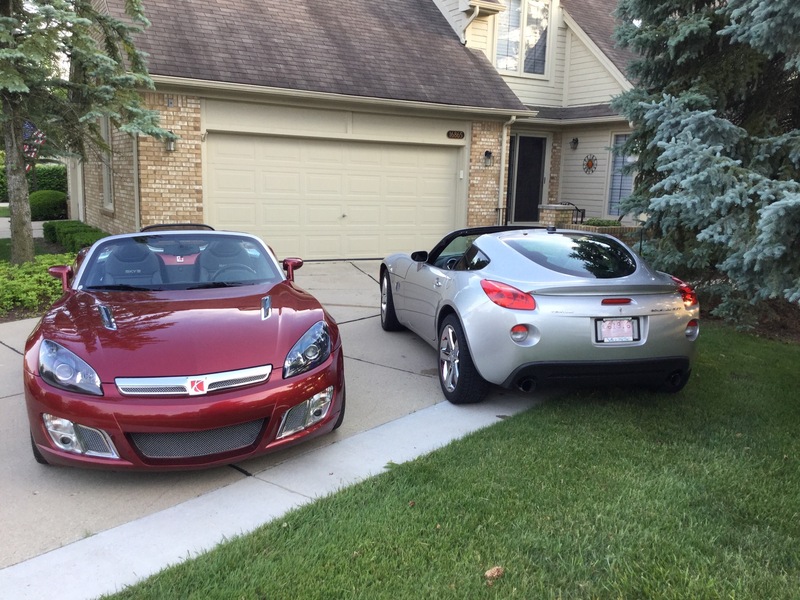 Saturn Sky Forums: Saturn Sky Forum > Saturn Sky Discussion > General Saturn Sky Discussion > I sold my Sky 3yrs ago and then bought it BACK! While I've read quite a few posts about people buying another Kappa a few years after they sold their first one,, I believe this is the first post of someone buying back their original Kappa. Point being, these cars get into your soul a little more than people realize. A few years ago I sold my Ruby Red Redline to a guy in California. Shipped it out from Michigan in September. Started looking for a coupe but didn’t find what I wanted. A few months later, I noticed “my” Sky for sale again. I called the owner and bought it back for the same price I’d sold it to him for. Shipped it back to Michigan and kept it for a few more years, until I finally got my coupe. JW-Redline, 44thSKY, ChopTop and 1 others like this. UPDATE: There was a bit of a delay, but the car is coming home tomorrow. The car is really messy in the interior, it's going to need the biggest clean I've given a car before! Beyond that a few small annoyances and some things repaired terribly that I'll need to work on. Mechanically it seemed sound.. gear box feels a bit loose. Going in Saturday for a safety inspection and a coolant flush. I'll post some pictures shortly. Was at the mechanics getting a safety today and a coolant flush. Didn't make it home before the snow hit haha. Congratulations! Looks great, but I’d like see it defrosted. Be safe in that snow. Is that the Techno Gray? I always liked that color. When your upshifts only take 120 milliseconds, its no time at all. 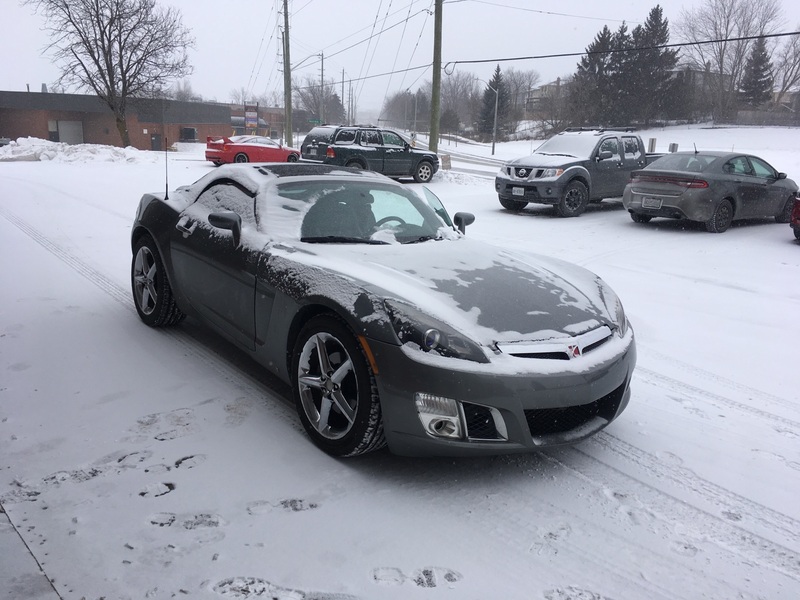 I only use 6th when I am cruising for an extended period of time to drop the engine into a nice easy rpm, save gas and reduce the exhaust noise. I can break 100mph in third so when I am having fun on the road I like to be in a gear that is 500 rpms into my torque curve and out of lag. Our 2-3 and 3-4 are so far apart it would be nice if they threw in a 6th gear and shortened up the distance over the 2-3-4 gears. Even if 5th was left as is and 2-3-4 were tightened up it would be better.